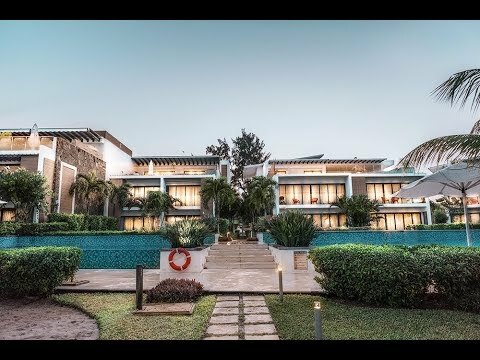 Cap Ouest luxury beachfront suites in Mauritius. Our Cap Ouest ground floor suites features 2 or 3 bedrooms with en-suite bathrooms, a spacious living area comprising an open plan kitchen, lounge and dining area which opens directly onto the terrace. Cap Ouest luxury beachfront suites are entirely air-conditioned and boast large sliding door offering magnificent view on the turquoise lagoon of Flic en Flac and beautiful sunsets. They include modern luxuries such as LCD television mounted with satellite channels, free Wi-Fi internet connection and iPod docking station and a Nespresso machine.